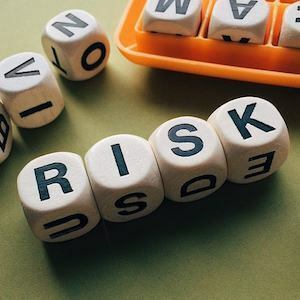 The International Atomic Energy Agency (IAEA) and the European Society of Radiology (ESR) have concluded a practical arrangement on cooperation in the area of diagnostic imaging, including hybrid imaging. This practical arrangement, signed on February 28 by IAEA Deputy Director General and Head of the Department of Nuclear Sciences and Applications, Aldo Malavasi, and Prof. Katrine Riklund, Chair of the ESR Board of Directors, is the first agreement of its kind between the IAEA and an international imaging society. It will not only elevate the organisations’ longstanding relations to a more formal level, but also open up countless opportunities in the field of medical imaging. 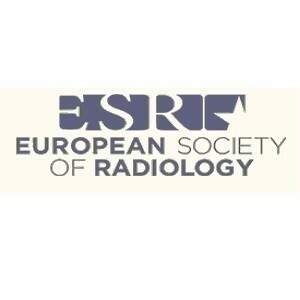 Commenting on the mutually beneficial relations, Aldo Malavasi said that “signing this important practical arrangement today with the European Society of Radiology marks the longstanding relationship of two organisations dedicated to support efforts globally in the field of medical imaging and thereby better serving our Member States”. The agreement focuses on capacity building and education, with both organisations committing to engage not only radiologists, but a wider audience, including referring physicians. Planned activities include a series of webinars, sponsored participation in ESR-organised training courses for healthcare professionals from low and middle income countries, and the development of e-learning materials. 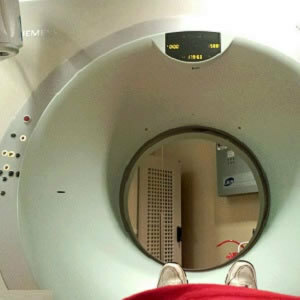 The booming field of hybrid imaging and the resulting need for training in PET-CT and PET-MR will be a particular focus, with dedicated webinars coordinated by the recently established European Society for Hybrid Medical Imaging (ESHI). Welcoming the agreement, Prof. Riklund stated that “the IAEA-ESR practical arrangement represents a major milestone in the ESR’s engagement with international organisations, and it is a result of years of diligent work to establish the ESR as an active and credible stakeholder in healthcare policy at the international level. With a strong educational programme at the heart of the society’s mission and an ever-growing global membership, this practical arrangement plays to our strengths while also opening up new horizons”. Over a number of years, the ESR has established a productive working relationship with the IAEA, in particular its Nuclear Medicine and Diagnostic Imaging Section, on issues of common interest such as the International Basic Safety Standards for Protection Against Ionising Radiation and through expert-level participation in IAEA conferences and technical meetings, as well as contributions to relevant publications. In 2014, the ESR was the first medical society to answer the IAEA’s Bonn Call for Action by launching the EuroSafe Imaging radiation protection campaign, committing to specific actions in each of the priority areas set out in the Bonn call. In recognition of the role non-governmental stakeholders play for the IAEA, Diana Paez, Head of the Diagnostic Imaging and Nuclear Medicine Section, affirmed “the IAEA’s continuous cooperation with major professional organisations such as the European Society of Radiology as instrumental to increasing the support we provide to Member States in the field of diagnostic imaging. Today’s agreement will pave the way for a vast global outreach and bring us closer to our mandate to support the diverse needs of our Member States in the field of radiology, tailored to the countries’ respective needs”. “The ESR is pleased to see the IAEA strengthening its commitment to diagnostic imaging as part of its mission” added current ESR President and incoming ESR Chair Prof. Paul Parizel, “and we greatly look forward to continuing our work with the Nuclear Medicine and Diagnostic Imaging Section within this new framework. We will strive to make this cooperation a model partnership between an international organisation and a professional medical society”. ESR,IAEA ,diagnostic imaging, ECR 2017, hybrid imaging The International Atomic Energy Agency (IAEA) and the European Society of Radiology (ESR) have concluded a practical arrangement on cooperation in the area of diagnostic imaging, including hybrid imaging.